What knocks you off your game? What is the biggest thing that can happen during a soccer game that causes your play to go downhill? Is it playing a physically imposing team or a team that has tremendous speed? Is it a bad play that creates a scoring opportunity for your opponents? Is it playing in the final minutes of a tied game? Is it a sense of pressure you feel from your teammates, coaches or parents? There are a variety of situations that can feel stressful and this can negatively affect your play on the pitch. Manny is a freshman who earned a starting role from the first game of the season and has the physical tools to be a top collegiate defender. Manny is aggressive, has great anticipation and has a deep understanding of how angles can limit scoring opportunities for opposing attackers. All in all, Manny is a strong defender but there is one thing that knocks him off his game. Manny’s style of play goes from aggressive to cautious and he seems to be hesitant in situations where he normally knows exactly what to do. At these times, Manny can feel his heart pounding and is easily faked out opening up scoring chances for his opponents. Manny and his coach know that he has all the physical tools but agree that he needs to learn mental strategies in order to manage the pressure in big moments of games. 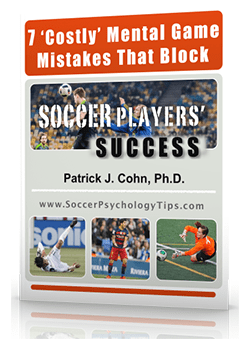 Physical skills and physical training is not enough to perform at your peak. If you are not improving your mental game as well, you will never reach your potential as an athlete. The technical staff for England’s Under 21 team realized that if the team was to maximize their chances of success at Euro 2017, they would need to add mental training to their preparation regimen. For that reason, the English team brought in a sport psychologist to strengthen their mental game in order to perform at their peak. This happened after the last Under-21 tournament ended in such disappointment. During the previous tournament, the English squad failed to get out of their group after freezing up in the decisive final game against Italy. 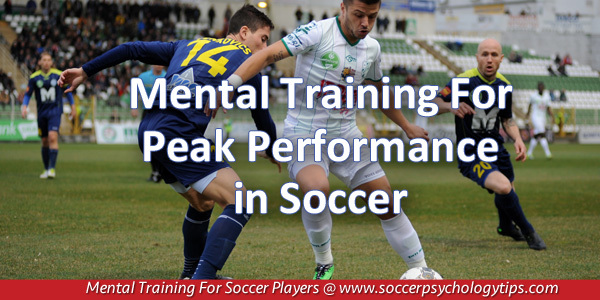 England’s current Under-21 head coach, Aidy Boothroyd, knows that mental training is the key to unlock peak performance. Talent is not enough to unlock your potential. 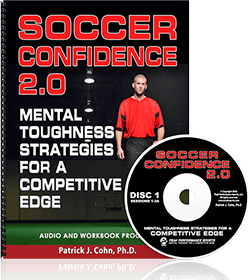 Soccer is a mental game that requires you to be mentally trained in order to optimally meet the unique challenges in each game. You probably do not know exactly what to do to improve your mental game. If that is the case, find some resources that can put you on the right track.